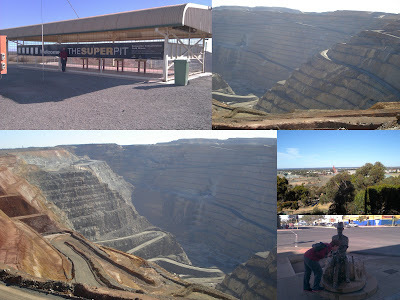 This is a little look at the Superpit and Kalgoorlie. They turned the statue of Paddy Hannan in to a drinking fountain. 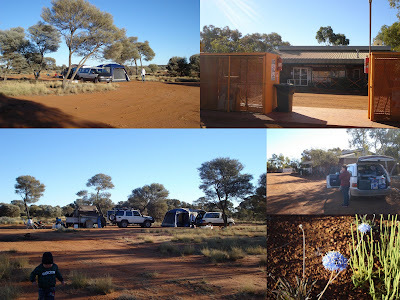 This is our campsite in the bush outside Laverton and then the roadhouse at Tjukayirla. This is the Giles Weather Station. Very very cool. 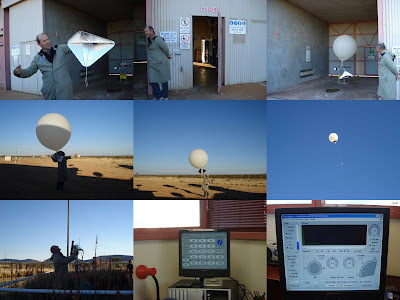 It was great to see the weather balloon and how it was all done. And of course we saw lots and lots of this. This post is dedicated to Helen (no blog). She is encouraging me to get back online. Love to see your part of the country. So wide and amazing landscapes! Gorgeous skies! Such a vast countryside. Shari!!!! 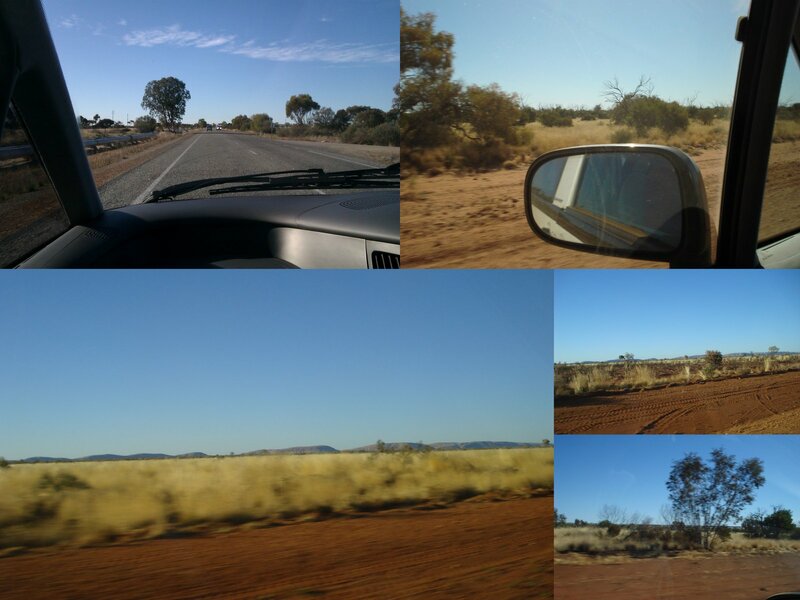 So glad to see you post, hon, and such gorgeous pics - what a lovely country! Hmmm, Shari - not so sure it is very beautiful, but nice those who have not seen appreciate it. 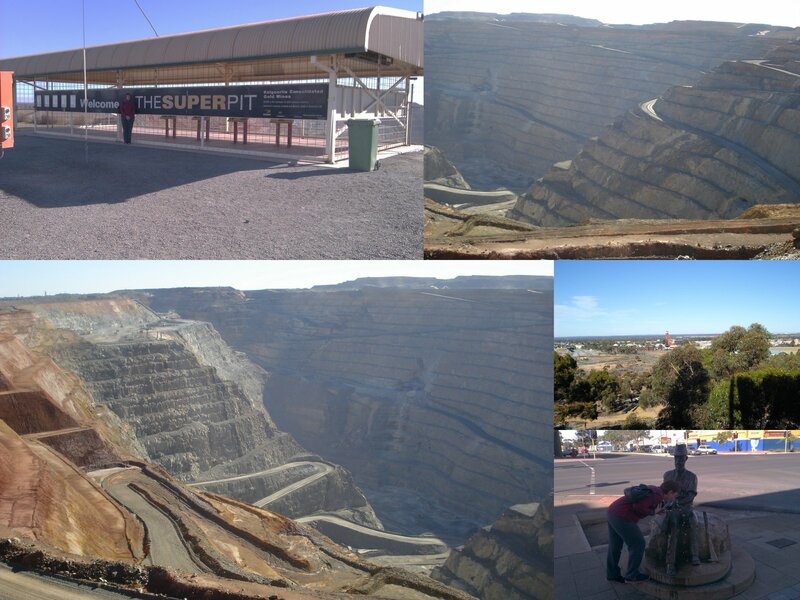 Imagine thirty years in mining - not nice at all, but good country for making good friends!